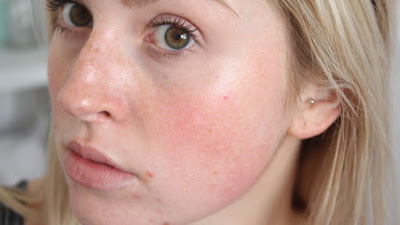 Spots on the skin are due to Moon, Mars and Mercury. Hormonal changes occur due to Moon or Mars. Stains on the skin occur due to hormonal changes. These stains have three types. They are light red, light black or light white. The stains are very small that it is difficult to find. Stains show only when they grow. The stains occur due to thickness in blood. The stains occur due to imbalance of protein in the body. Weak Mercury affects the upper part of skin. Ketu is also responsible for stains on skin. These stains create more problems. Sometimes, Ketu gives too much stress. Ketu keeps you busy and distressed. This increase stress creates itching, spot and stain problem. This problem becomes serious due to imbalance of thyroid. Human faces itching if Ketu affects first, fifth or seventh house in horoscope. It converts in stains. Take doctor’s advice before taking medicines. Keep away yourself from stress. Regularly do anulom-vilom. Start walking with speed. Avoid sour food. Do not intake any salty food with milk. Eat salty food after 30-45 of drinking milk. Drink less milk tea. Take chireta powder with fresh water twice in a day. Avoid having high protein food. Drink milk with turmeric without sugar or honey. Keep pure coconut oil in white glass bottle. Keep 100 gm camphor in 1 liter coconut oil. Keep this bottle in sunlight. Take this bottle in evening and apply this oil in evening every day. It takes one year to overcome skin problem. Drink water in silver glass.